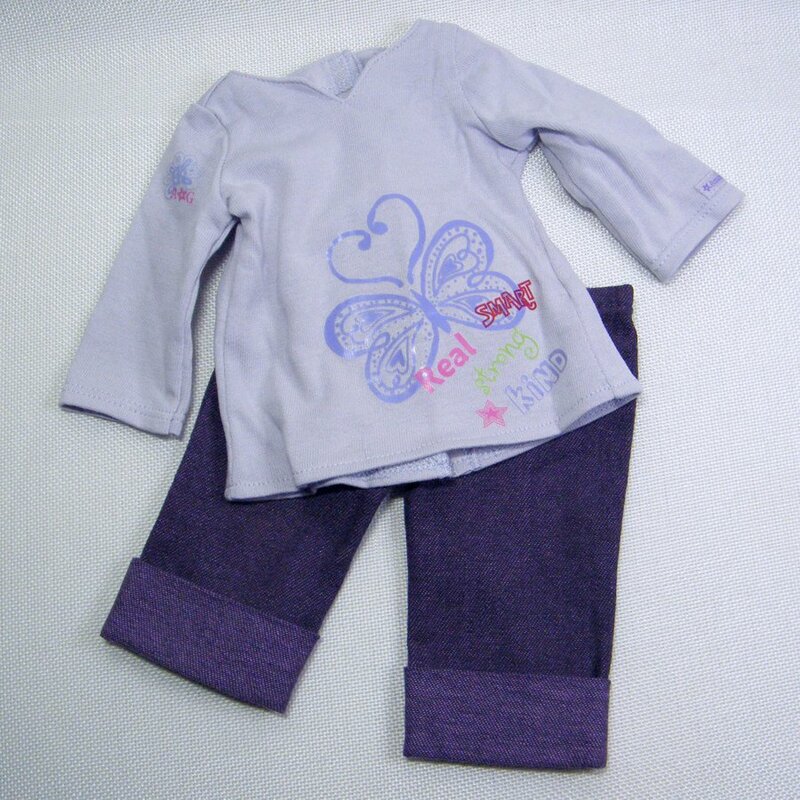 American Girl Real Me hip-length shirt with a dark lavender butterfly silhouette on lower left side and "Real", "Smart", "Strong" and "Kind" printed under the butterfly. The dark purple denim-like cuffed capris have an elastic in the back. Released in 2010 and retired in 2012, was never available as a separate purchase. Overall wonderful condition, previously played. DOLL NOT INCLUDED: she is for model purposes only. Please view pics for the visual description. From a smoke free home. Thanks for looking.